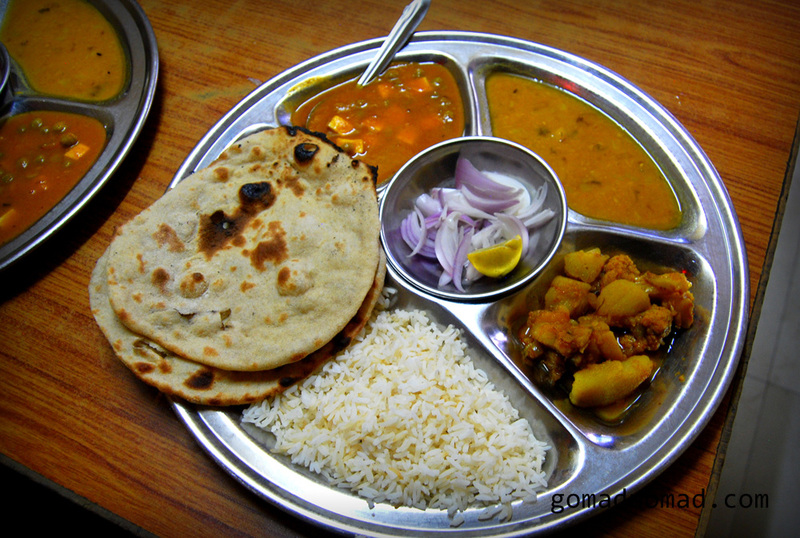 Thali is a fixed plate meal typical in India or Nepal. Usually served on a compartmentalized metal try, a thali consists of a few different dishes as well as some kind of bread and rice. Thalis differ in each region but basic ones are commonly comprised of mixed vegetables, dahl, beans, a salad, chutney or pickle, roti or chapatti, and rice. 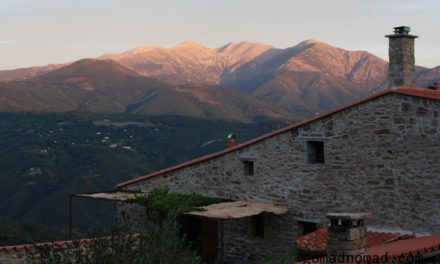 They are often only available at a certain time in the day, for example lunch and dinner time. The café may offer a deluxe or special version which will include a more expensive dish, say one with paneer (cheese). 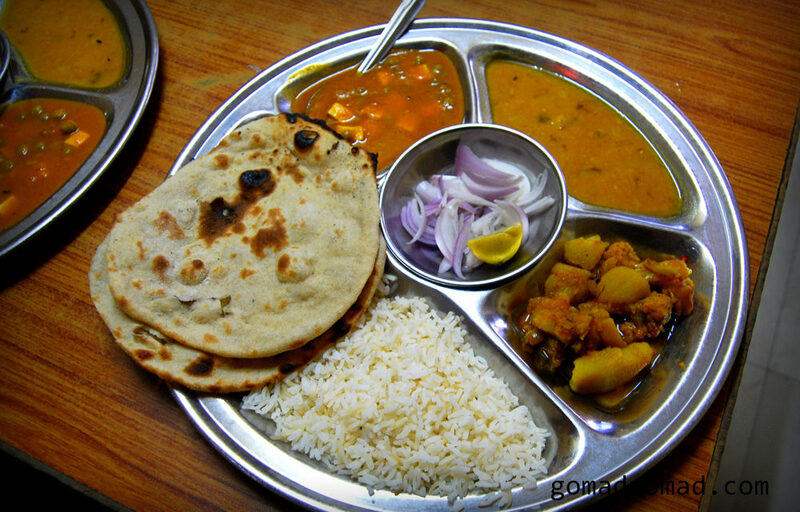 Thalis represent an excellent value for the traveler in India. You get a full and balanced meal for anywhere between 40 and 80 rupees ($.70-1.40 US). 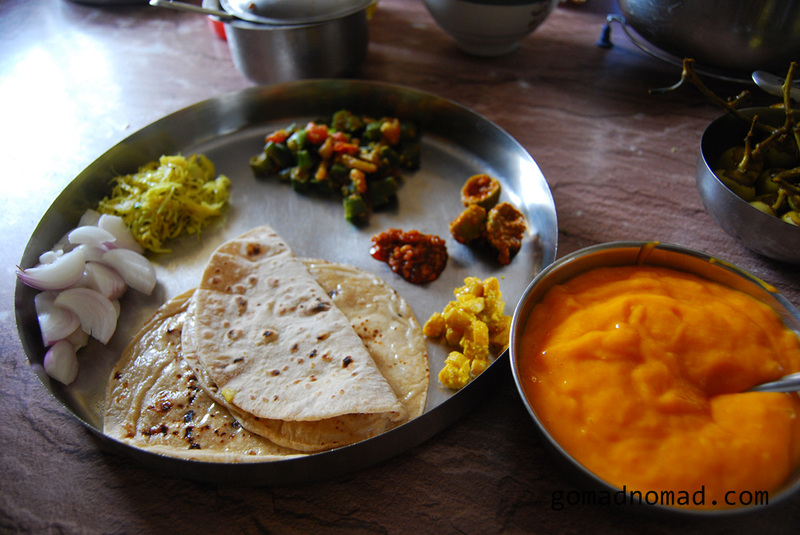 A Gujarati thali — typical in the Indian state of Gujarat.